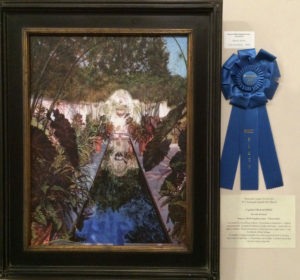 “Papyrus with Elephant Ears ~ Chanticleer” Oil on Linen has been awarded the Bette Worthington Sullivan Memorial Award by Judge of Selection and Awards Lisa Chalif, Curator Heckscher Museum of Art, NY in the National Art League 87th National Juried Exhibition. 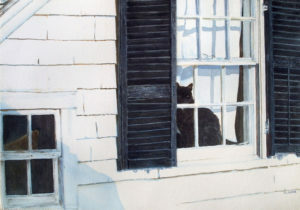 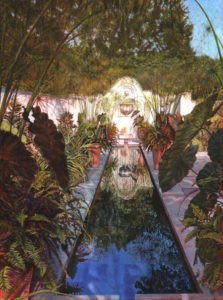 Additionally, an Honorable Mention has been Awarded by the Board of Directors of the American Artists Professional League in the Annual Member Exhibition, online this year at www.americanartistsprofessionalleague.org *This site welcomes comments on each painting. 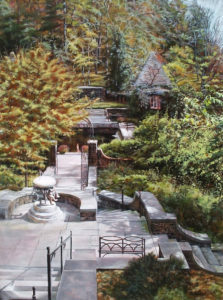 “Tea with Henry ~ Winterthur” Oil on Linen is one of 150 Finalists included from 838 entries by Juror of Selection and Judge of Awards, CeCy Turner, Signature Member of The National Oil and Acrylic Painters Society of America in the 2016 Fall Online Exhibition. 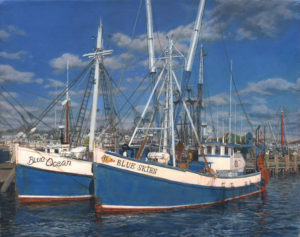 “Blue Skies Smiling at Me” Oil on Linen, has received the Salmagundi Award from Judges of Awards; Dannette Koke, Doug Reina and Neil Watson in the Catharine Lorillard Wolfe Art Club 120th National Exhibition at the National Arts Club at Gramercy Park South in NYC.